Food Report for 11 of November 2016. Note: For all the ingredient in handful quantity, you don’t have to put the same quantity just as much as you want or to your taste. For this recipe you will need a empty can of whatever. 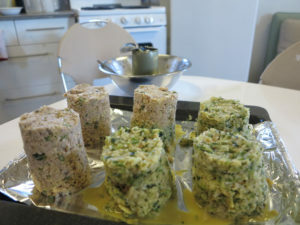 We used a can of pink salmon with the ripped bottom to help us to push the tower out of it with out making a mess. Step MtCH – 1 : Take a can in the shape you want your tower to have. I suggest a can of salmon as the radius is pretty good for the height. Step MtCH – 3 : For now on this can will be called «tower maker». Step MtCH – 4 : This step isn’t really about making the tower maker but still, pre-heat the oven at 400 Celcius. Step MT – 1 : Hydrate well all the dehydrated ingredients in water. Step MT – 2 : Mix all the ingredients under the meat tower section in a mixing bowl and mix them well. Step MT – 4 : Turn the tower maker upside down in a pan that can go in the oven. Step VT – 1 : Hydrate all the dehydrated vegetables. Step VT – 2 : Mix all the ingredients in a mixing bowl and mix well. Very important, you don’t want all the habanero powder in the same bite. Step VT – 3: Fill the tower maker with the veggy mix until it is full. If you do both type of towers, you will notice this one is by far juicier and doesn’t hold as well. If you made a second lower tower maker it willl be perfect for this one. Else it will still hold, but the tower will look shorter and fatter since it will collapse a little bit on itself without breaking. 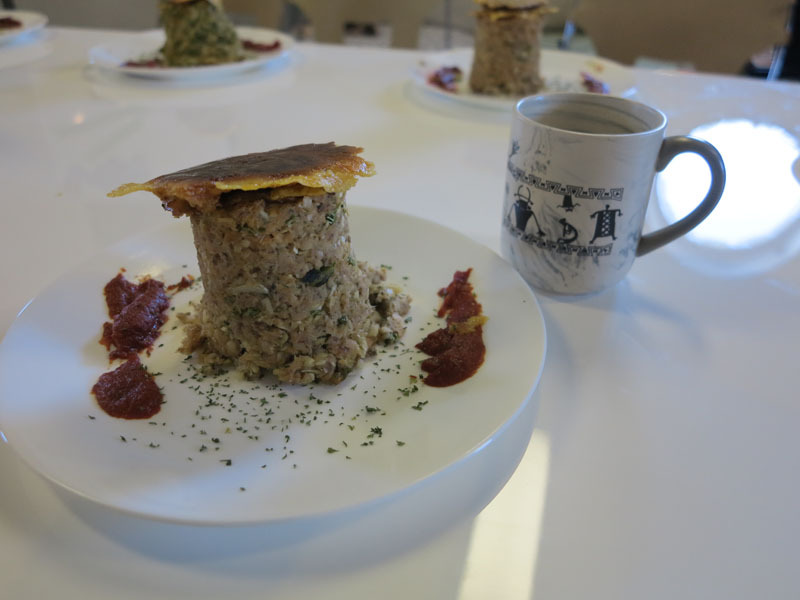 Step VT – 4: Turn the tower maker upside down on a plate that can go in the oven. Step CtT – 1 : Once all your pans look like downtown New York (filled with towers) or that you ran out of mixture, put the pans in the preheated oven. Step CtT – 2: I am sorry for the anyone that wished to have a timer on how long they will need to stay in the oven while you do something else. Tough luck, you probably read this step after making all the other, you will need to watch them cook and verify once in a while to see if they are ready to eat. It should take around two hours. They are very dense and you don’t want to have an uncooked middle tower. Step PtS – 1 : Mix all the ingredients in a pan and mix well. Step PtS – 2: Remember that habanero powder are very very very strong, a few flake will be enough. To measure in mg more than anything else. Step PtS – 3: There is actually two side preparation the other one is a secret for only those who get this far in the preparation. 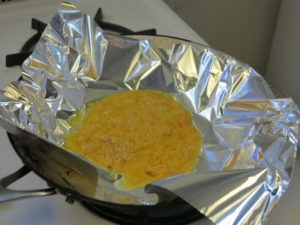 All you need to do is to melt some cheese in a pan and let it get crispy, like almost burn a little. Step PtS – 4: To finish the Tower all you need to do once they are well cook is to take a slice a crispy cheese and put it on the top of the tower and serve some of the sauce on the side of the dish. That is all you are done now. Step PtS – 5: I almost forgot, serve to everyone that is patiently waiting to eat. If people are silent while eating its because they like it. Also if the silence make you nervous you can talk about how you discover this recipe and talk about Mars. Enjoy.